Samsung Display said Wednesday the company’s foldable organic light-emitting diode display going into Samsung Electronics’ Galaxy Fold smartphone won an international certification for causing less harm to users’ eyes. 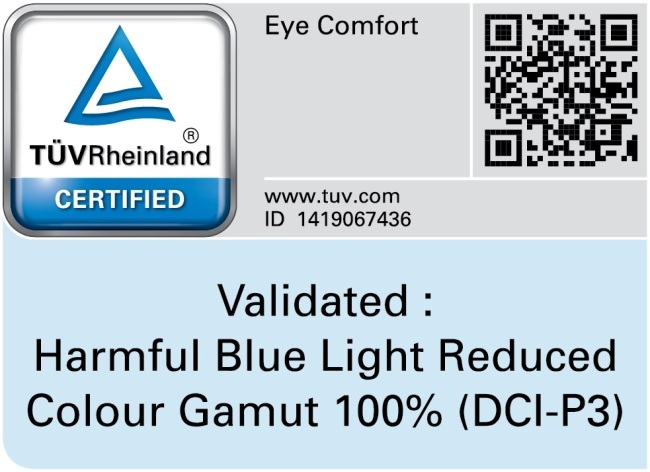 The 7.3-inch foldable OLED display was certified by Germany’s TUV Rheinland for an “Eye Comfort” display that has reduced harmful 415- to 455-naometer blue light from normal OLED displays by 42 percent. The Galaxy S10 series phones were also approved by the German institution for the certification. While ordinary OLED displays contains 12 percent blue light, the Samsung foldable display has 7 percent. Many display and device makers use filters or programs to reduce the blue light percentage at the expense of color accuracy. “Samsung Display has improved the quality of organic materials for the foldable display in order to fully keep the color standards, while cutting down the blue light percentage,” it said.